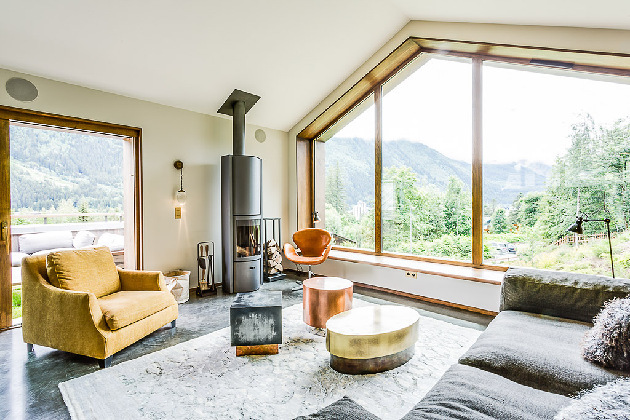 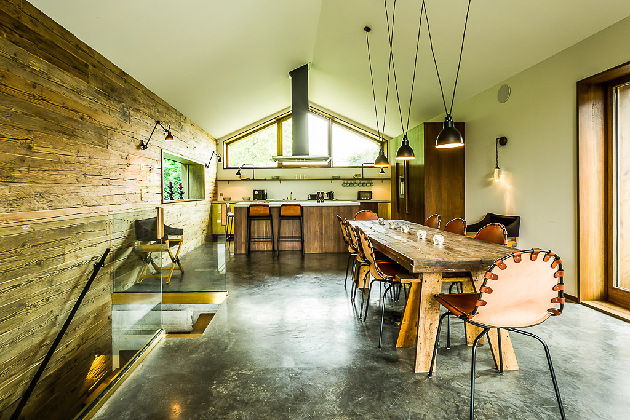 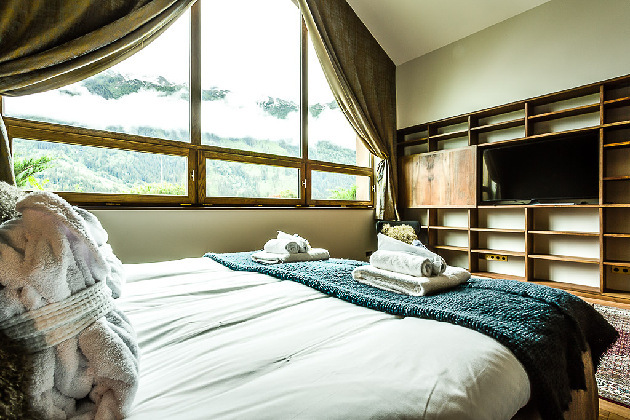 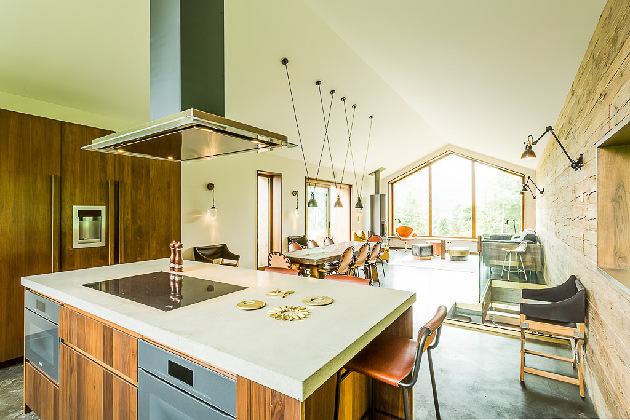 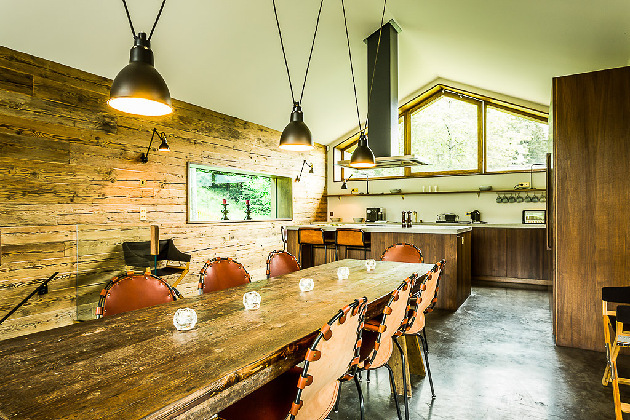 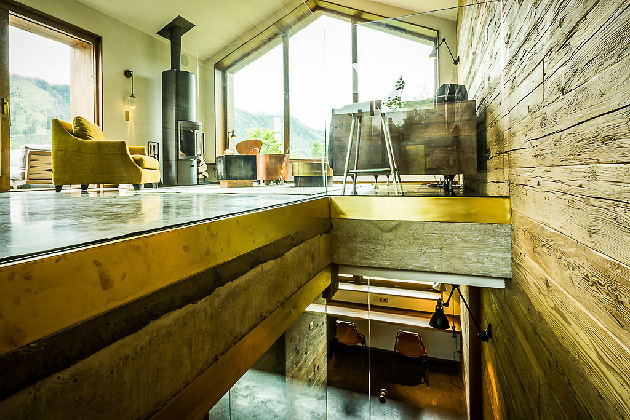 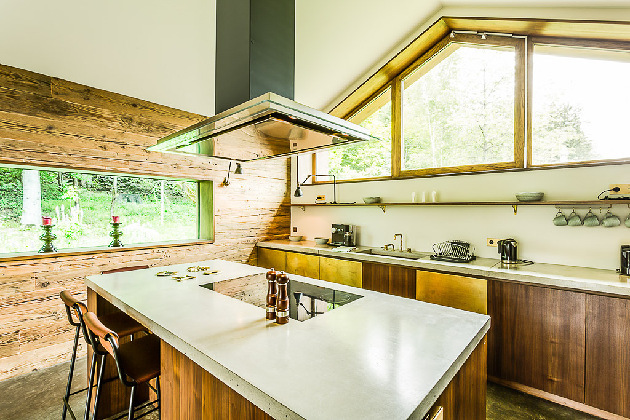 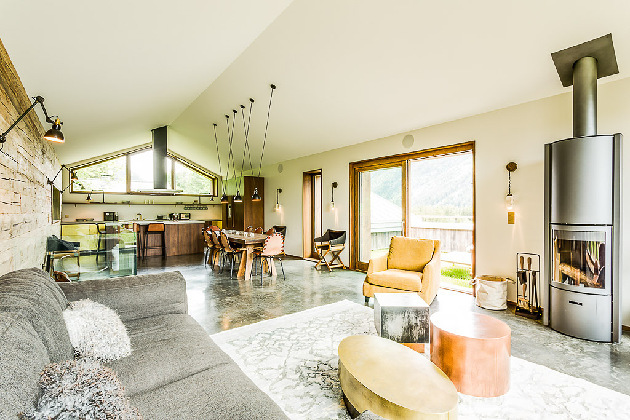 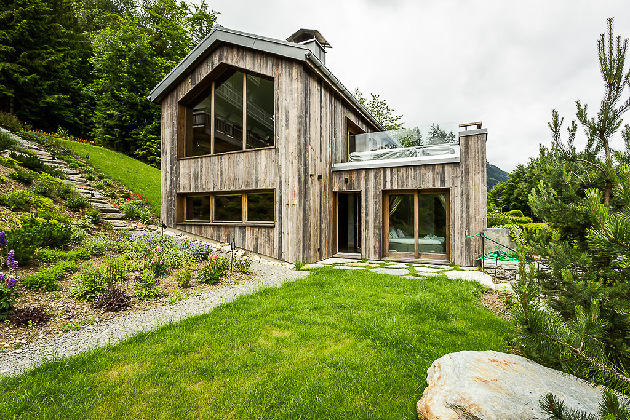 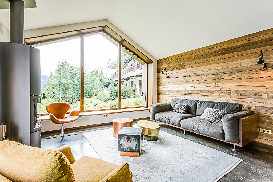 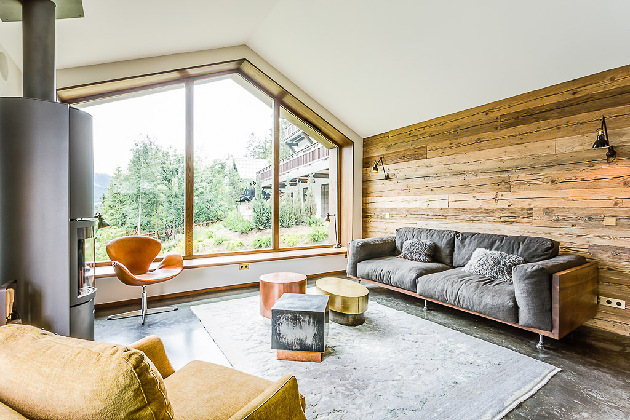 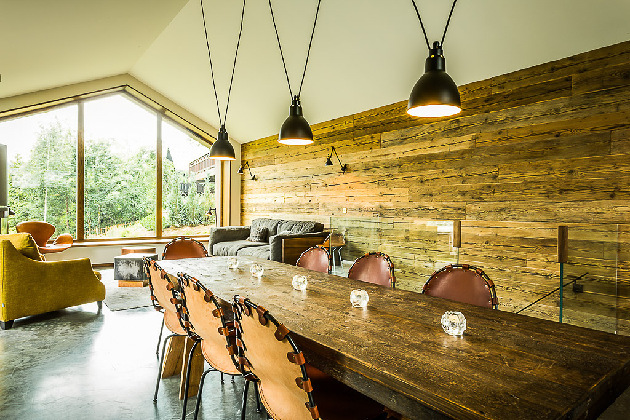 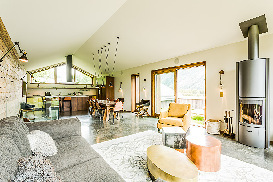 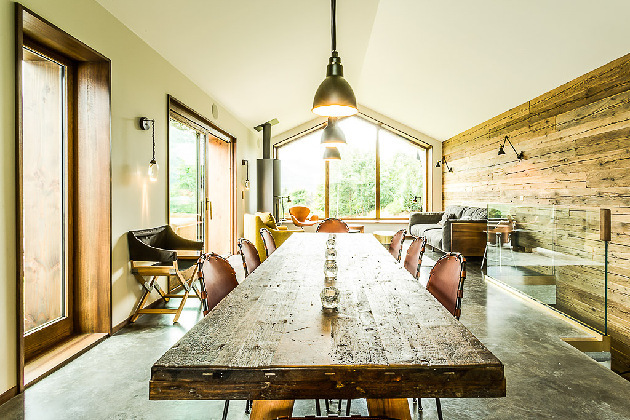 The A-Frame top floor is dedicated to the living area with open plan kitchen, dining and living space and is clean and comfortable offering incredible views over Chamonix and down the Valley. The 3 bedrooms are all en suite and very comfortable. 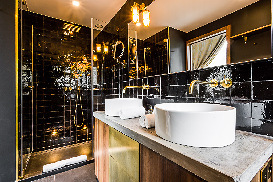 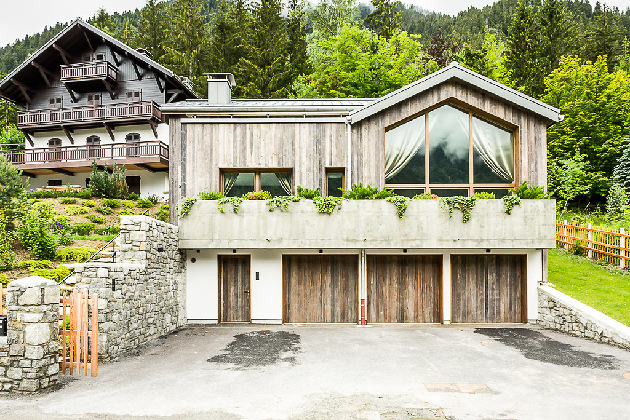 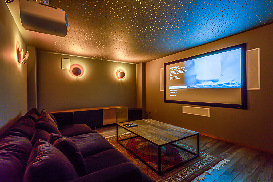 The chalet is completed by an outstanding cinema room, boot and ski room with dryers and double garage. 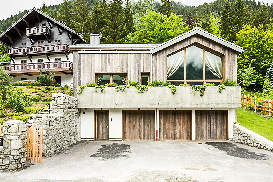 The chalet is spread over 3 floors. 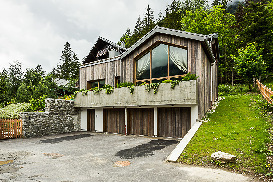 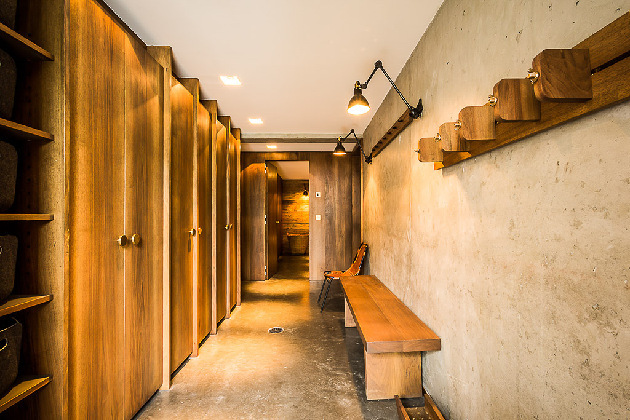 Entrance hall with storage, ski racks, boot dryers, covered parking space, laundry room, toilet, wine cellar, cinema room with piano. 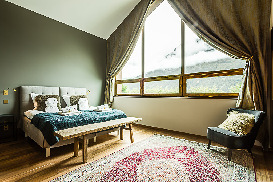 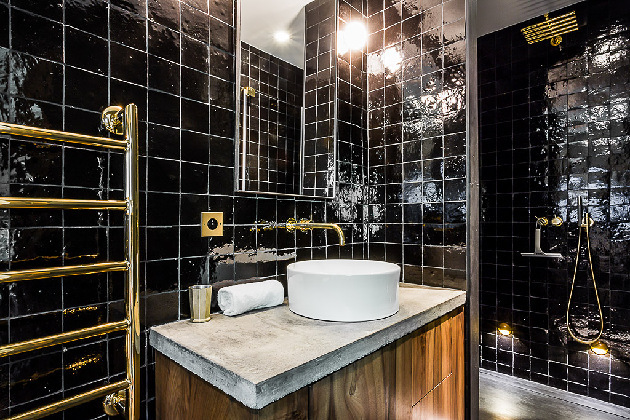 Main entrance, twin en suite bedroom, master double bedroom with en suite bathroom, double en suite bedroom, double bedroom which can be twin with a separated bathroom. Kitchen, dining and living areas with fireplace, access to the large south facing terrace. 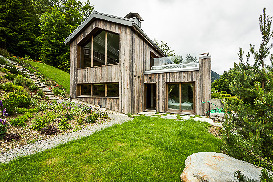 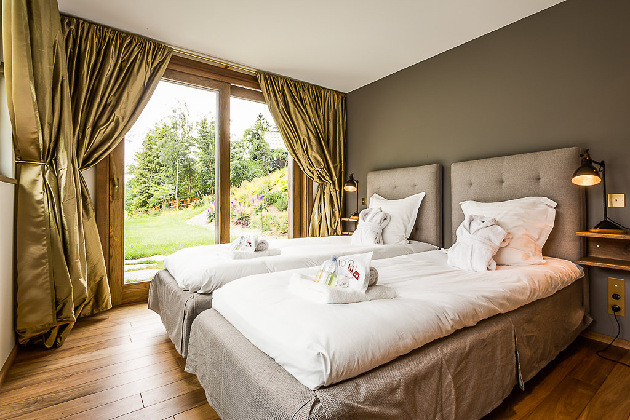 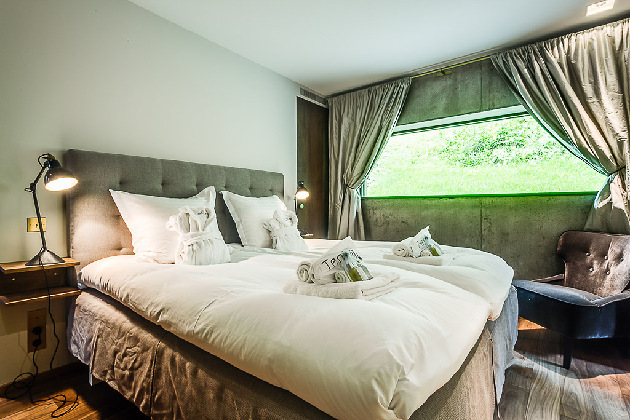 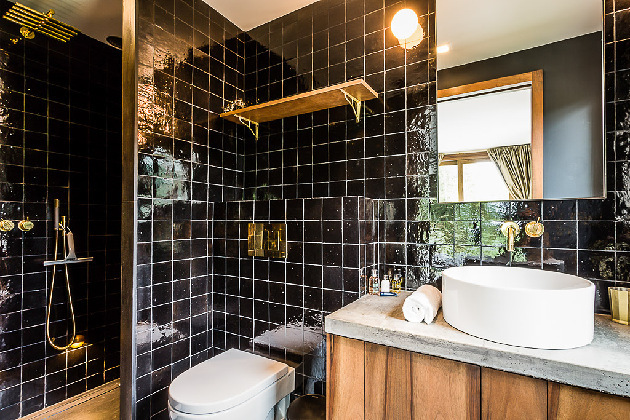 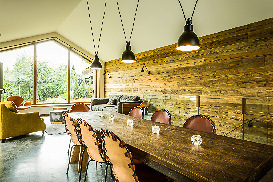 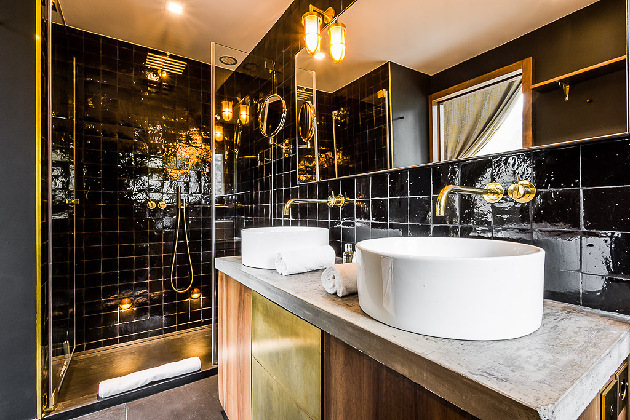 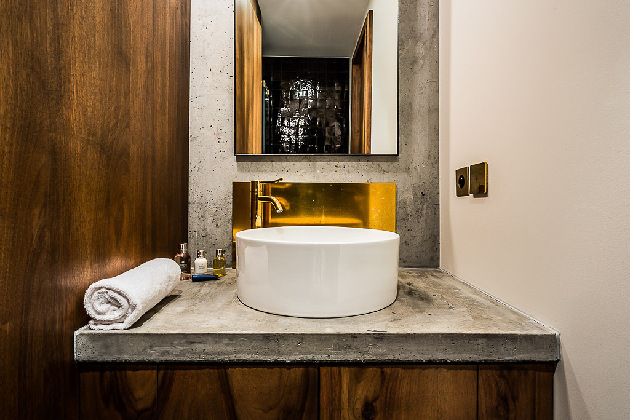 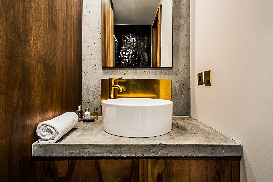 Click for Prices and Availability for Chalet Nodus now.